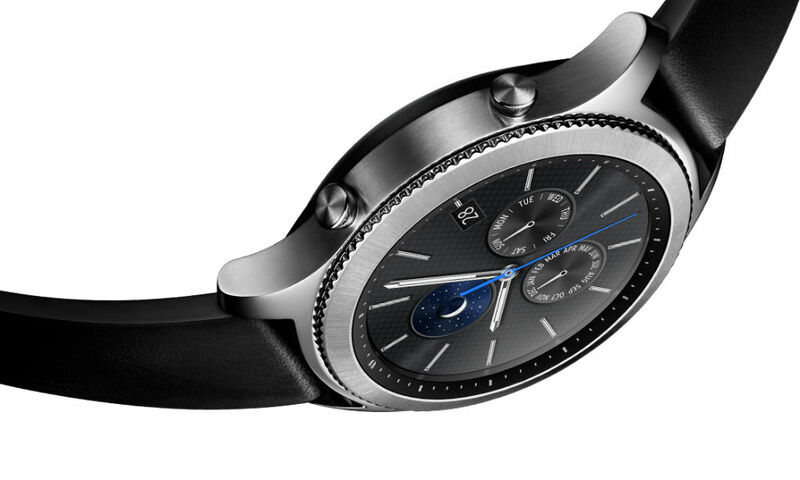 At its press event in Berlin during IFA, Samsung announced the Gear S3. The Gear S3, like the Gear S2, comes in two different styles – Gear S3 Classic and Gear S3 Frontier. As for what’s new, both models feature a 1.3″ circular Super AMOLED display with Always-On technology. The display also has Gorilla Glass’s new Glass SR+. Other specifications include a dual-core 1GHz processor, Tizen wearable OS 2.3.2, 4GB of internal storage, and 768MB of RAM. If you enjoy working out or getting messy while wearing a watch, both devices feature IP68 water and dust resistance. Samsung currently advertises 4-day battery life, all coming from a 380mAh built-in battery. On the connectivity side, the Frontier features LTE for taking calls, while the Classic does not. However, both feature NFC and MST for mobile payments usage. The Gear S3 Classic features a more classic appearance, coming with a leather band and not-too-flashy appearance. 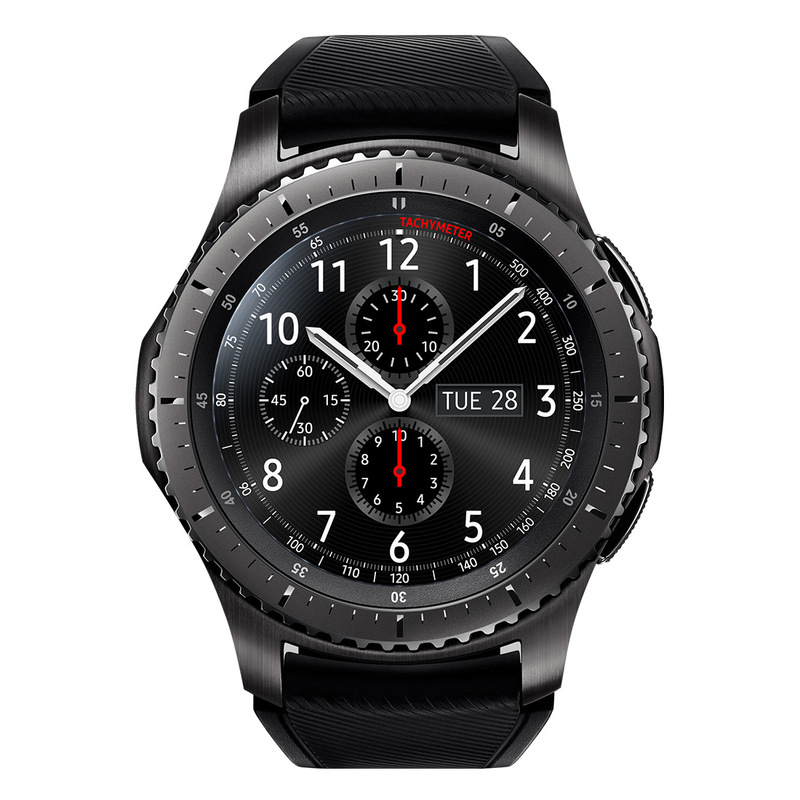 On the other hand, the Gear S3 Frontier is more sporty, coming with a silicone band, glossy bezels, and flush buttons along the side. 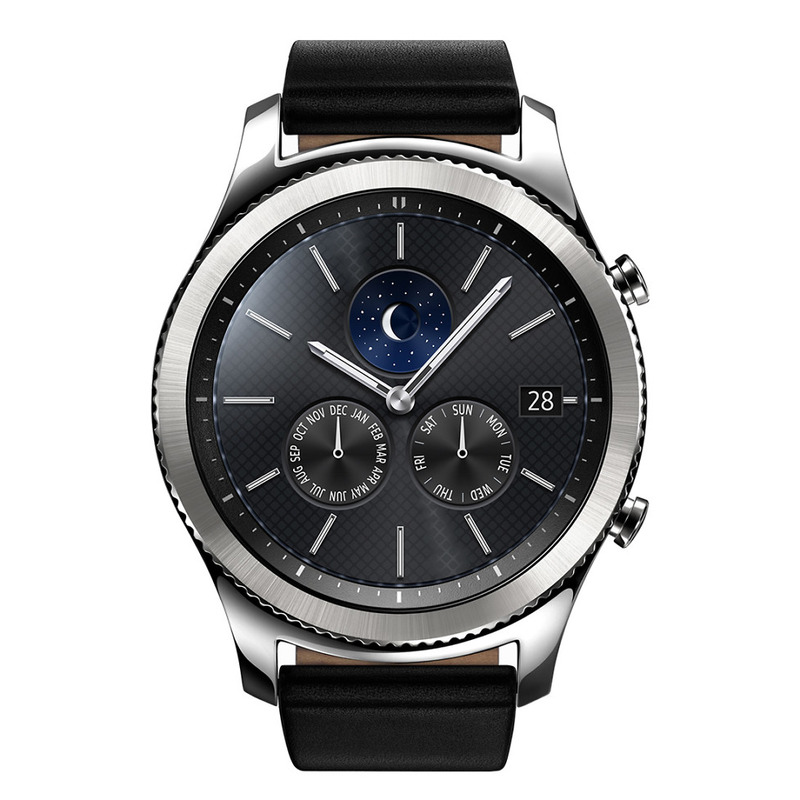 To sum up both devices and compare them to the Gear S2 models, the S3 Classic and S3 Frontier offer a beefed up processor, RAM, better displays, screen protection, more accurate activity tracking, and longer battery life. Overall, they appear to be very nice upgrades for those interested in the Tizen wearable OS. 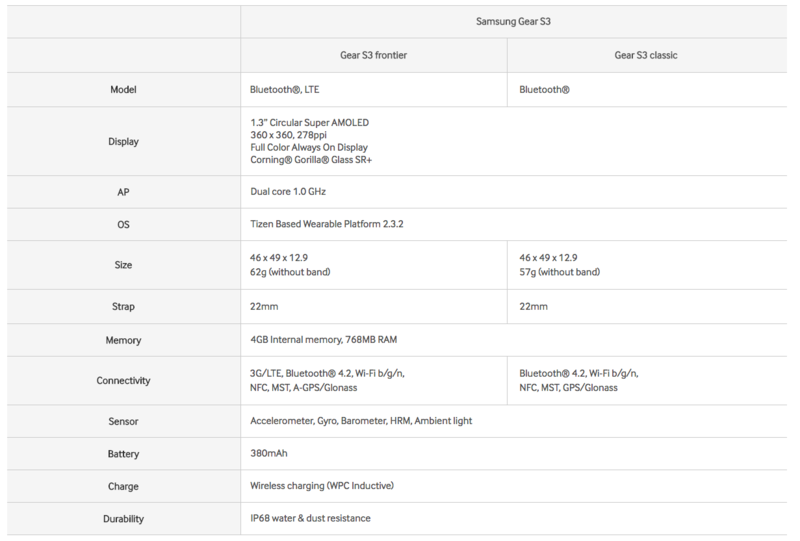 As for availability and pricing, Samsung has not yet announced specifics for the US. However, you can guess it’ll be sometime around the holiday shopping season.